So we have finished the Animatics on Driver Dan's Story Train now. 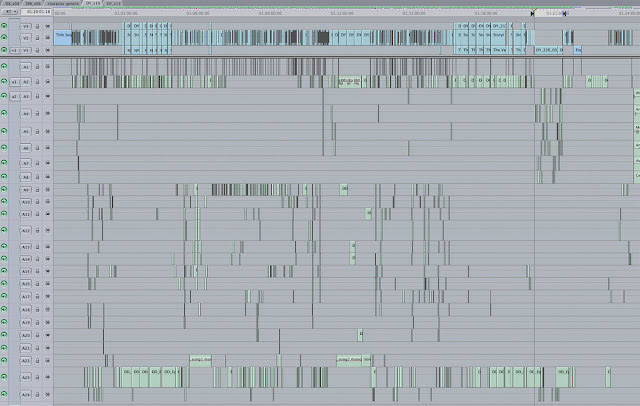 This is a view of the timeline of the last episode special. 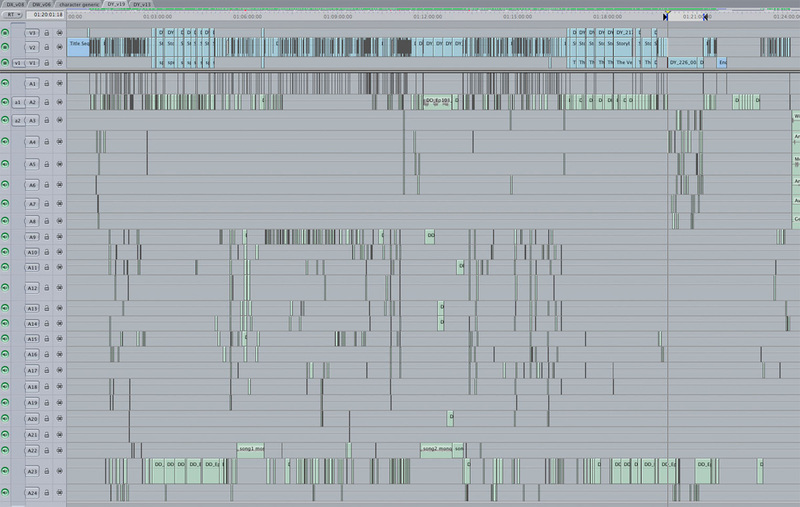 What you are looking at is 22 mins, blue blocks are storyboard panels (top 3 rows). Then in the audio tracks (all 24 of them) are the blip track (blip at the start of each new scene), Dan's line, 6 kids tracks, 12 character tracks, 2 sound effect tracks and the bottom two tracks are the dump tracks (unused lines). Fhew indeed I hear you say. We use Final Cut Pro to do the animatics. That there be some fine Final Cuttage. Thanks Mr Ben. It's even more impressive when you zoom in too! !